We are purely digital at Streetzine – The UK’s premier street food and mobile catering B2B publication & resource, specifically targeting this rapidly expanding sector in its entirety. The ‘Prime Position’ is the most effective way of reaching your chosen target audience. Includes unlimited editorial / advertorial features throughout the term of the campaign plus inclusion of your banner advert and editorial in the ‘Prime Position’ on all fortnightly e-newsletters throughout the campaign term. These wide format banner adverts appear on every page / category of the main website throughout the term of the campaign. Inclusion of this banner in our fortnightly newsletters – £50 per newsletter. These large vertical banners have the added bonus of appearing on every page of the main site and on every single post, be it a new or old post. All posts reside permanently on the site and there are currently over 1,100 fully optimised posts. Inclusion of this banner in our fortnightly newsletters – £50 per newsletter. Get your message / products showcased to over 10,000 decision makers every fortnight with a banner advert and editorial / advertorial in our fortnightly e-newsletters. Our email newsletters are extremely well received, we achieve average open rates of around 25% and CTR’s of 24%. Additional to this, the main website receives an average of 5500 visitors per week. We also tweet our advertisers regularly every week to our 13,000 + Followers. Testament to our effectiveness is that over 90% of our advertisers have advertised with us since our very first launch, which was back in May 2013. 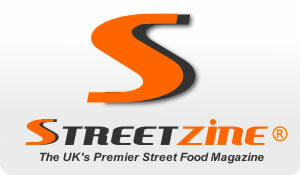 All articles published in Streetzine are fully optimised for Google and fully responsive for mobile browsing.